How do I assign only some activities in a pack? Go to the "Assign Activities" tab and click on "Featured Activity Packs"
2. Click on the pack you would like to assign activities from. 3. 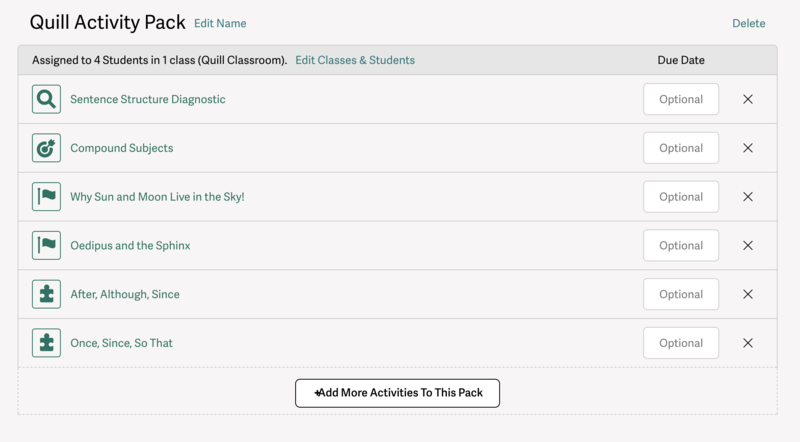 Assign the activity pack to either individual students or an entire class. 4. After assigning the activity, you will be led to a page that shows the different activities within the assigned pack. From here, you can delete specific activities by clicking on the "X" to the right of the activity, as well as assign due dates for each activity.